As part of President George H. W. Bush’s Thousand Points of Light campaign, April has been regarded as National Volunteer Month since 1991. National Volunteer Week – April 7-13 this year – has been celebrated since 1974. Volunteers are the backbone of this country. Many work behind the scenes without wanting any recognition. Out of the kindness of their hearts, they give their time and effort to make life better for those who are less fortunate. 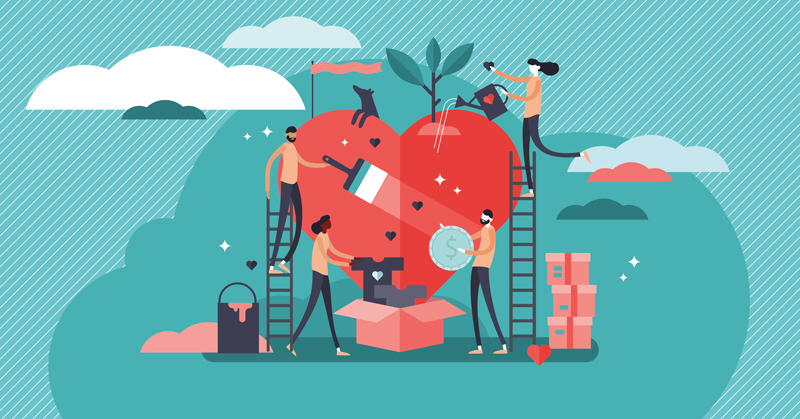 According to data from a study released in 2018 by the Corporation for National and Community Service (CNCS), 30.3% of Americans (77.3 million) take the time to volunteer (that percentage has increased from 25% in 2016). The data showed that the majority of those who volunteer are females. It also states that the age groups most likely to volunteer were Generation X, between the ages of 40-54 (36.4%), and Baby Boomers, between the ages of 55-73 (30.7%). The lowest volunteer rates were seen in Generation Y and the Silent Generation, 26.1% and 24.8% respectively. Millennials ranked somewhere in the middle with 28.2%. The state ranking No. 1 in 2018 for the highest number of volunteers is Utah, followed by No. 2 Minnesota and No. 3 Oregon. Where does the Keystone State rank? No. 21. The bottom three states are Nevada, Mississippi and Florida. Throughout Lancaster County, there are over 3,000 nonprofit organizations. Meet four nonprofit organizations and six volunteers who are making a difference. They include Jane Lesher (Ephrata Area Social Services), John Thackrah and Carlyn Darby (Clinic for Special Children), Judy McCloud (Tabor Community Services), and Stacy Emminger and Lexi Mercado (Donegal Substance Abuse Alliance). It’s a bit of a hike to get to the Clinic for Special Children (CSC) in Strasburg, but well worth the visit when you learn about all the hard work, love and dedication that goes on behind the scenes at the inspiring clinic. 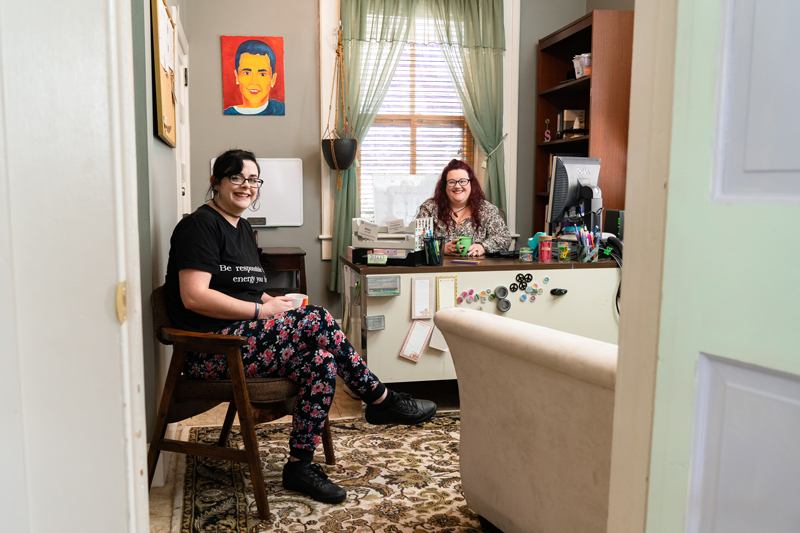 Kelly Cullen, the clinic’s communications manager, explains that about 90% of their patients come from the Plain community, while others may come from as far away as Texas or even Brazil. (The clinic has seen patients from all over, including 42 states and 17 countries to date.) Kelly says the clinic manages over 300 known genetic variants, identifying about 25 to 30 each year. Special diseases need special scientific equipment and medications, which come at a cost. So, how does the nonprofit stay funded? One way is through donations and volunteers donating their time. John Thackrah retired from DuPont Co. in 1994 after 42 years with the company. He then moved to Willow Valley Communities in 2009. 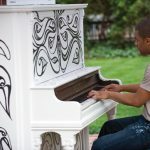 He is a remarkable artist whose artwork garners funding for the clinic. Sales from his cards have raised more than $10,000 for the clinic. “My experience working with the clinic has been very rewarding, and I look forward to continuing my volunteer efforts in the future,” he says. 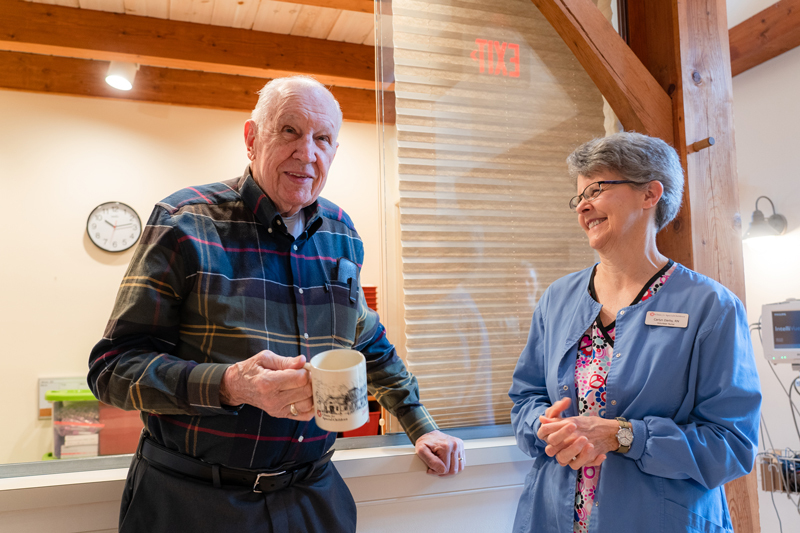 Another notable volunteer is Carlyn Darby, who retired from her job as a pediatric nurse; however, just because she retired doesn’t mean she retired from volunteering her time and using her special nursing skills to help others. John and Carlyn both enjoy giving their time and talents freely and in different capacities. Clinic for Special Children, 535 Bunker Hill Road, Strasburg. 717-687-9407 or Clinicforspecialchildren.org. If our lives had a soundtrack, then Judy McCloud’s would be titled This Little Light of Mine. She is a radiant beam of sunshine that can brighten anyone’s day. 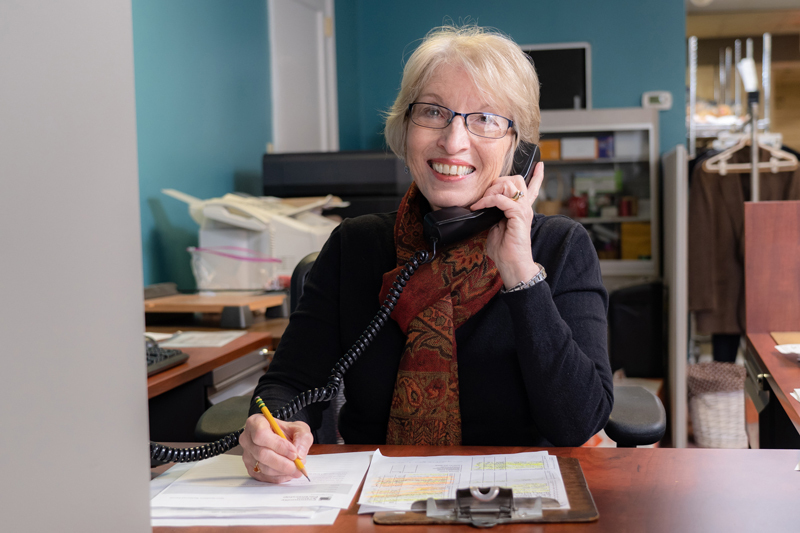 Whether it’s volunteering with Tabor Community Services’ (TCS) financial workshops or with her own organization, SisterLove Christian Ministries, helping single mothers, Judy is a “giver” who loves to make a connection with people. Judy has been volunteering with TCS as a financial workshop instructor since 2007. According to Tiffany Silveira, Tabor’s financial education coordinator, Judy regularly teaches monthly for Tabor’s on-site workshops, which are open to the community. Judy’s teaching skills include budgeting, creating a savings plan, understanding credit and loans, purchasing a vehicle, and working with a bank or credit union. Additionally, she volunteers frequently to serve as an instructor at off-site workshops conducted by request for clients and staff of other social service agencies and businesses. Tabor celebrated 50 years in 2018. 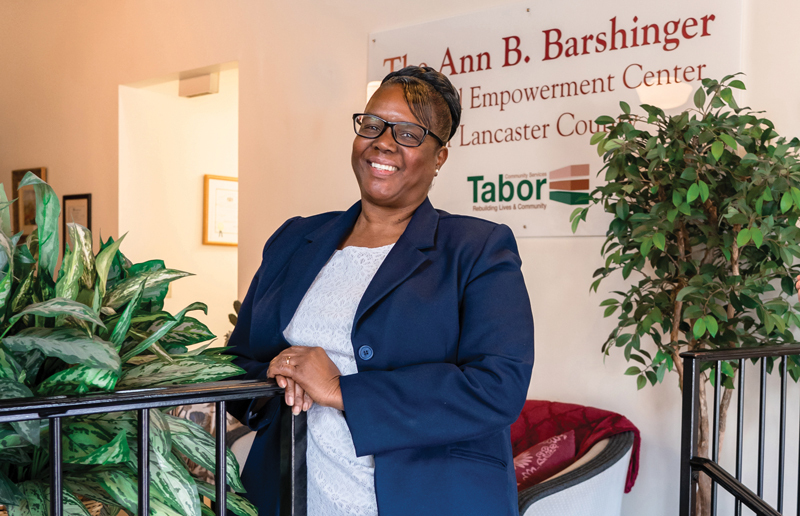 The work at Tabor involves “rebuilding lives and community.” Tabor was designed to help low-income families in Lancaster find housing and manage their finances. 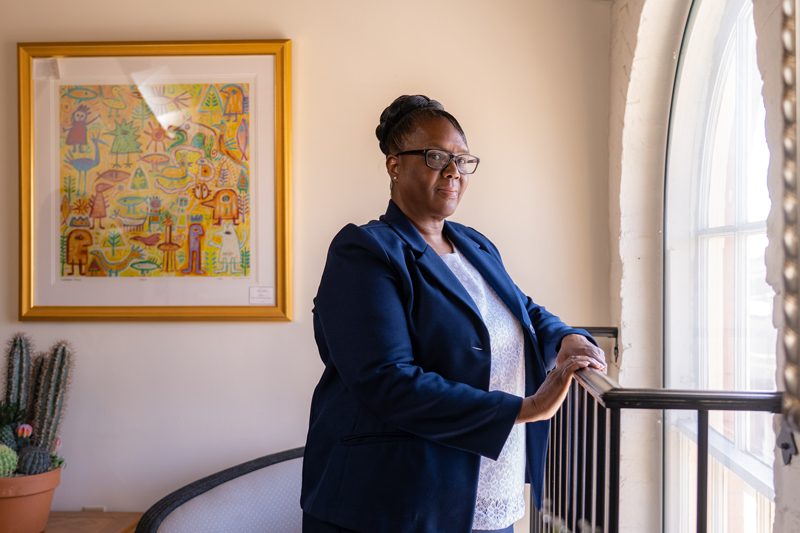 Today, the nonprofit continues that mission and has developed a variety of services that assist people in finding solutions to their housing and financial challenges. Tabor has also taken part in community revitalization projects located within the southeast area of Lancaster City. However, so much of Tabor’s success wouldn’t be possible without the help of volunteers like Judy. Tabor Community Services, 308 East King Street, Lancaster. 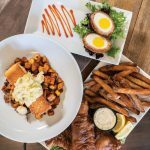 717-397-5182 or Tabornet.org. Jane Lesher has a contagious smile. Behind that smile is a warm heart and a woman who loves to volunteer. “It makes me feel really good, just knowing that I can help someone in any way. I just feel like I’ve been very blessed in my life, and I feel like I not only need to give back, but I want to,” Jane says. Originally from Adamstown, Jane retired in 2001 from Fulton Bank. She says that her biggest influence in regard to volunteerism was her parents. 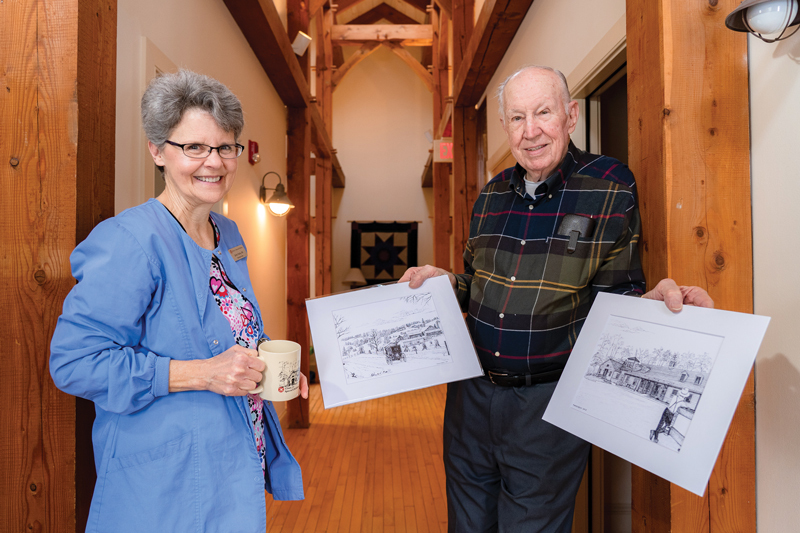 Jane says she was “fortunate to be able to retire early” and decided to pick one or two organizations where she could be of service to her community. Jane chose Ephrata Area Social Services (EASS) for several reasons. One of those reasons being her parents; the Meals on Wheels program is operated by EASS and delivers 2,500 meals every month to Ephrata and Cocalico senior citizens. The meals are prepared daily at Holy Trinity Lutheran Church in Ephrata. 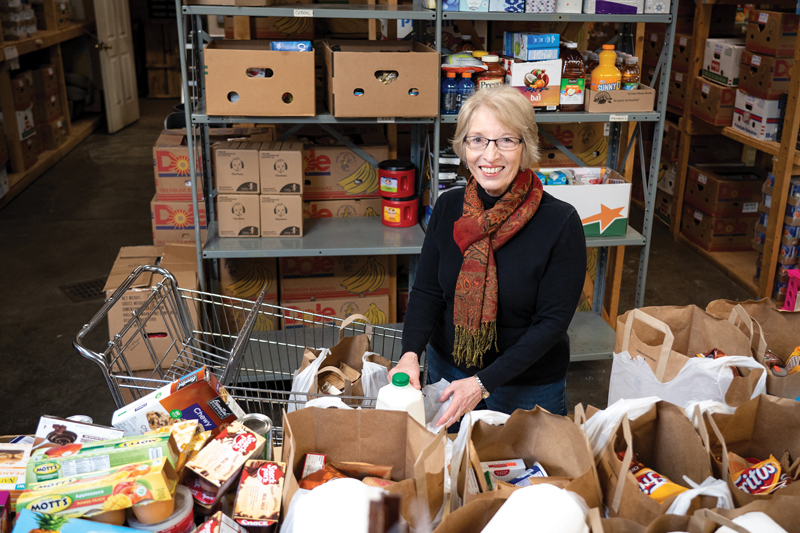 “I also work in the office at EASS one day a week, answering the phones, handing out bags of food from the food bank, scheduling rides for senior citizens and helping with the clothing bank,” Jane adds. EASS is a nonprofit organization that supports those in need throughout the Ephrata and Cocalico regions of Northern Lancaster County. The organization offers a number of impacting programs to assist families and individuals in need, including a food bank – which serves approximately 45 families per week, or over 2,000 annually – clothing bank, emergency financial assistance and transportation services. Their fleet of minivans transports individuals, mostly seniors, to their doctor appointments, grocery store visits, or any other place they may need to go. “Those trips to the hairdresser are very important,” Jane says with a smile. In addition to volunteering at EASS, Jane is also a member of the Friends of the Adamstown Area Library and serves on several committees at her church, Swamp Lutheran, in Reinholds. Ephrata Area Social Services, 227 North State Street, Ephrata. 717-733-0345 or Ephrataareasocialservices.org. There is an ongoing war in America. You hear about it every day, and it’s happening in your own backyard. The war on drugs is nothing new, and it won’t end with the snap of a finger. But, making others aware of the crisis is a step in the right direction. According to data published by the Centers for Disease Control and Prevention, “70,237 drug overdose deaths occurred in the United States in 2017.” In 2017, Pennsylvania was one of five states with the highest rate of death due to drug overdose (44.3 per 100,000). The annual report from the Lancaster County Drug and Alcohol Commission states that 168 individuals in the county died from overdoses in 2017. In an effort to combat the local drug epidemic, Donegal Substance Abuse Alliance (DSAA) was created. 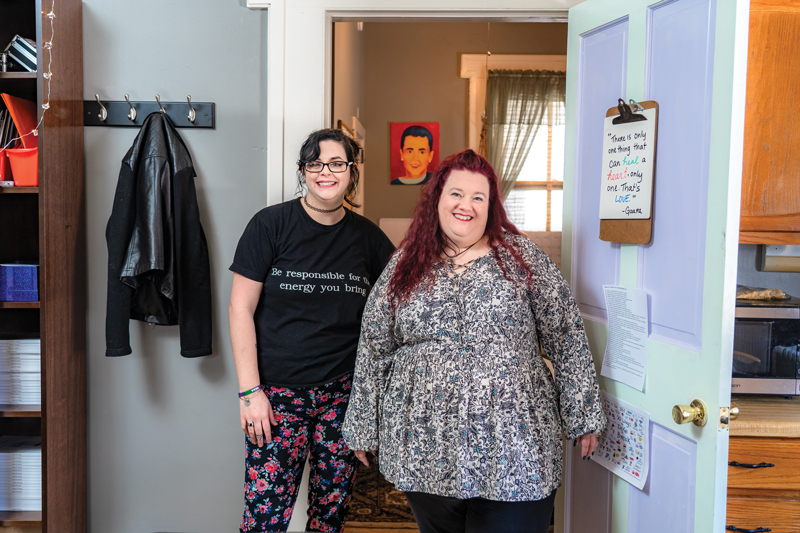 Executive director and co-founder Stacy Emminger, along with co-founder Stephen Mercado, established the grassroots organization after their son, who had struggled with addiction for 10 years, died of an overdose in 2014. 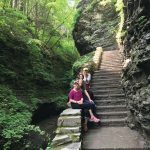 The nonprofit’s mission is to bring awareness to the community of heroin/opiate usage; educate the community that heroin/opiate addiction is a treatable disease; provide to the community the information to obtain treatment for addiction; provide support to families affected by addiction; and provide support to those in recovery. DSAA also provides assistance finding treatment, CRAFT-based family support sessions, free Narcan kits and education about addiction. Donegal Substance Abuse Alliance, 15 West Main Street, Mount Joy. 717-492-4596 or Dsasquared.org.